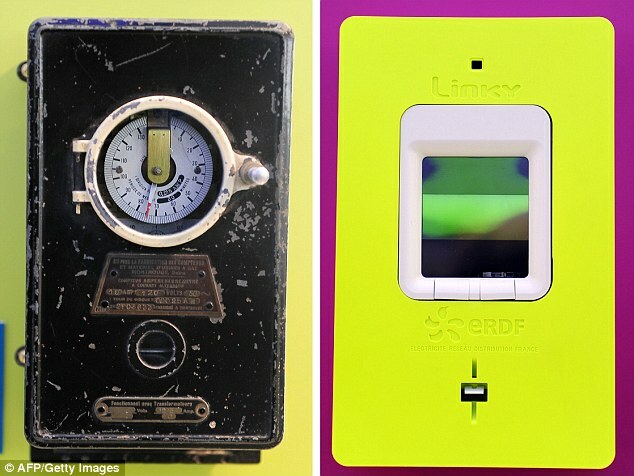 Energy giants can use smart meters to cut the power supply to homes and force customers to pay their bill up front. The Daily Mail can reveal that suppliers have the power to switch the new digital devices to a pre-payment setting without visiting the house. This would force the homeowner to top up their account before they use any gas or electricity – and if their balance runs out, their power could automatically be shut off. More than 11 million smart meters have been installed across the country as part of a national upgrade programme ordered by the Government. The new meters automatically send readings to suppliers as often as every half an hour and show customers in pounds and pence exactly how much gas and electricity they use. The aim is to make bills more accurate and help customers save money by encouraging them to reduce their power consumption. But experts warn that smart meters give firms unprecedented power over their customers, including access to reams of data about how and when customers use energy and the ability to control a customer's supply remotely. Major energy companies said they had not yet used the feature, but admitted it was possible. Lily Green, of auto-switching service Look After My Bills, said: 'Suppliers now have a frightening level of power to hit customers in the pocket. In the past, the Big Six have proven far too eager to force expensive pre-payment meters into people's homes – despite Ofgem warnings that they should only ever be used as a last resort. The architect of the smart meter program has removed his own device because he can't keep track of it. 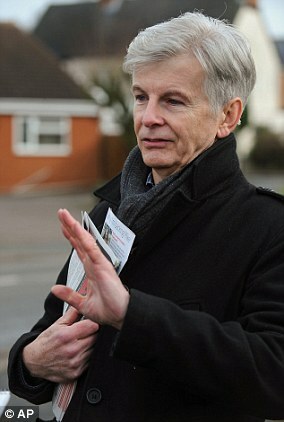 Former energy minister Mike O'Brien said then-energy secretary Ed Milliband, during the Gordon Brown Government, made bad assumptions in designing the programme. They were wrong to think users would monitor their electricity and gas use and consume less as a result, he told the Telegraph. 'I had an early version, after a while I barely looked at it, didn't use it. We got rid of it,' he said. Mr O'Brien and other former ministers also slammed the decision to let the big six energy companies roll out the programme instead of distribution network operators. They said this mistake was caused by constant lobbying from power companies that the government caved into. The programme was also rushed into service by politicians and bureaucrats desperate to meet climate change targets. However, according to one expert they 'couldn't tell the difference between a spanner and a banana'. Meters now stop working when a household changes supplier, and many don't work in mobile phone blackspots as they use technology that relies on the signal. Energy companies also pressured customers into installing a smart meter even if they didn't want one. The Energy Department said more than 11 million smart and advanced meters were installed in Britain and more than 400,000 were being installed every month. 'Smart meters are expected to take £300 million off domestic energy bills in 2020 alone, rising to an annual saving of £1.2 billion by 2030,' it said. A pre-payment meter works like a pay-as-you-go mobile phone in that customers have to top it up with credit before they can use any power. They are most commonly found in rented homes or households where the owner is struggling financially, because they provide a better means of controlling how much is spent on energy. 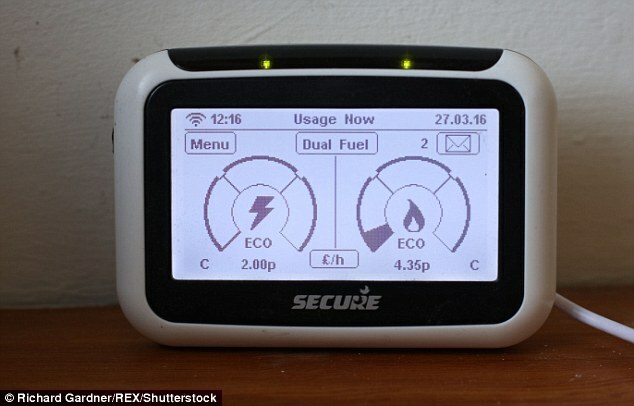 Energy firms said that one of the benefits of new smart meters is that they can switch a meter from pre-payment to the more popular credit setting remotely. Energy watchdog Ofgem has strict rules on when suppliers can force customers to have a pre-payment meter. It is supposed to be a last resort when recovering debt, and suppliers should put households on to repayment plans first. Currently, power companies need a warrant to install a pre-payment meter against a customer's wishes because they need access to their property. But if suppliers can switch someone's meter remotely it would remove the need to go through the courts. Under Ofgem rules energy firms would still have to show they had done everything possible to avoid forcing someone to have a pre-payment meter and take steps to ensure that any vulnerable customers are protected. An Ofgem spokesman said: 'For suppliers that are considering if it is appropriate to offer pre-payment to smart meter customers, the same rules apply as for those on traditional meters. This was obviously one of the motives for smart meters. Another was to surreptitiously Jack up rates by tweaking consumption algorithms, something not feasible with analog meters. I'm sure there are other nefarious purposes as yet undiscovered.